We’d like to suggest a few different options for post conference tours. All are arrangements for relatively small groups, and involve various degree of travel. Registration for the post-conference tours will open at the same time as the conference registration. More tours will be posted on this page, please revisit for more options at a later stage. The city of Tromsø (69° North), located 350 km north of the Arctic Circle, is an exciting place to experience the midnight sun in late June. It is a modern city where nature and culture go hand in hand. For the outdoor enthusiasts, Tromsø city centre is conveniently located just around the corner from seemingly untouched wilderness. Tromsø has many activities on offer, from the Arctic Experience Polaria and several quality museums to the world’s northernmost botanical garden. 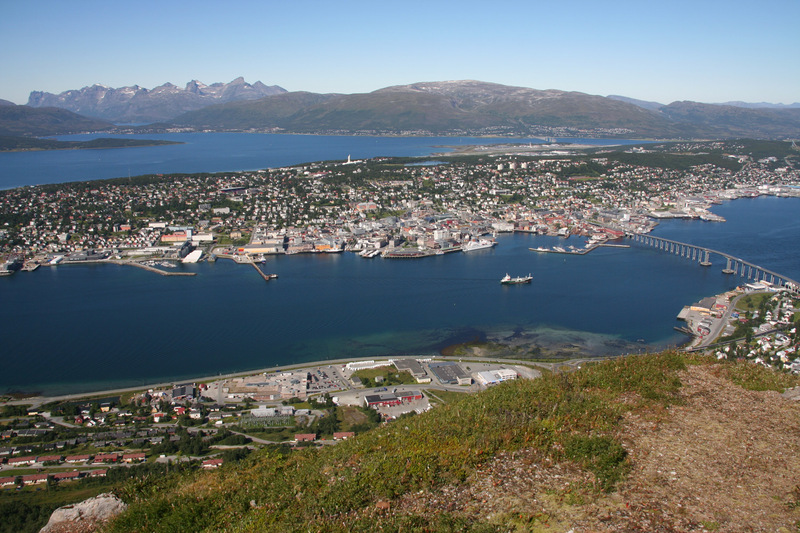 The surroundings of Tromsø offers boreal flora and fauna with easy access to alpine flora by e.g. taking the cable car. A preliminary program for the 3-day excursion to Tromsø involves Tromsø Museum, Tromsø botanical garden, Polaria, sea sightseeing by high-speed rigid inflatable boat (RIB) with guide, the cable car “Fjellheisen “ with dinner at Fjellstua and midnight sun excursion looking at the local flora. A bus travel to Hillesøy/Sommarøy to see the local landscape and see the location of where two Viking graves where found (excavation closed). Program will start around 5 pm (17:00) on Friday, so it is possible to arrive in Tromsø the day after the conference. Travel to Tromsø and accommodation in Tromsø must be organized on an individual basis. We strongly advice that you book your stay early due to the midnight sun marathon that is happening the same weekend. Please contact Inger Greve Alsos for additional information. Price: NOK 2950 (Includes all transportation in Tromsø, cable car, dinner Friday at Fjellstua restaurant, entrance to all museums, RIB boat excursion with guide, bus to Hillesøy, lunch Saturday and Sunday). There is an upper limit of 15 participants on this tour. Tromsø in summer. Photo Inger G. Alsos. The Dovre mountains is the main mountain range separating eastern and central Norway. It is a fascinating landscape accessible by both car and train. This excursion will include a visit to the Alpine botanical garden (run by the NTNU University Museum) and viewpoint Snøhetta (with views of one of Norway’s highest mountains and the large Dovrefjell-Sunndalsfjella National Park). If lucky, you will see musk oxen and wild reindeer, but definitely also plants and animals adapted to the harsh environmental conditions in the Norwegian high mountains. Guide will be the keeper of the Alpine botanical garden Tommy Prestø. Price approximately NOK 500 (including lunch). Departure from Trondheim in the morning of Friday June 21, return to the city centre and conference hotel in the evening. Kongsvoll Alpine Garden at Dovrefjell. Photo: Åge Hojem, NTNU Vitenskapsmuseet CC BY-SA 4.0. The old mining town Røros was listed as a UNESCO world heritage site in 1980 due to its characteristic wooden buildings from the 17thand 18thcentury. Although the copper mining ended in 1977 after 333 more or less prosperous years, it is still a thriving little town clearly worth a visit. 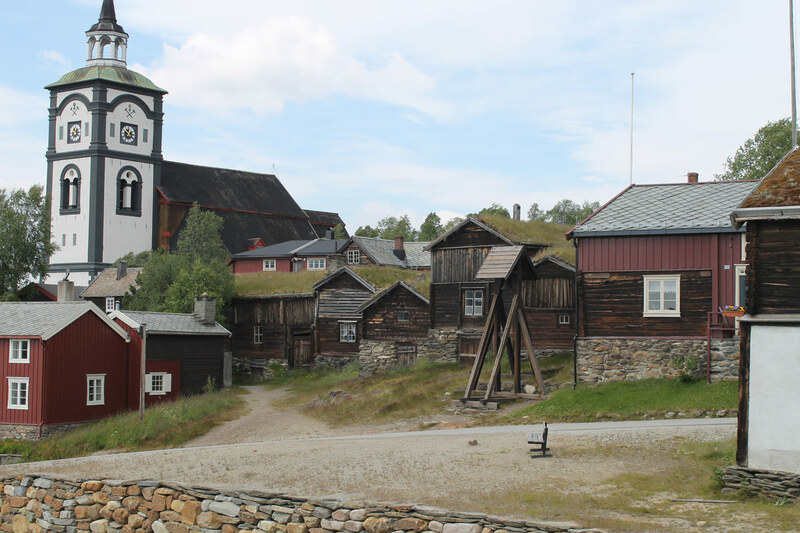 A guided tour by foot through the streets of Røros ends at the mining museum. From Røros, it is a 1.5 hours drive to Tydalen valley and the cabin Nedalshytta at the Sylane Mountains foothills. Here we will have dinner and enjoy the scenery before returning to Trondheim. Price approximately NOK 1200 (including lunch, guides, entrance fees, and three course dinner). Departure from Trondheim in the morning of Friday June 21, return to the city centre and conference hotel in the evening. The Trondheim Fjord is the third largest fjord in Norway, and has a rich marine life. Marine biological investigations has been going on since the 1870s. More than 90 species of fish are registered, and there are areas with high concentrations of marine invertebrates. Especially near the deep water coral reefs of Lophelia pertusa. The Trondheimsfjord has the world’s most shallow cold water coral reefs at 39 m depth. Although investigations and mapping of marine fauna has been going on for a long time there are still knowledge gaps that need to be filled. New species and complexes are still being discovered. 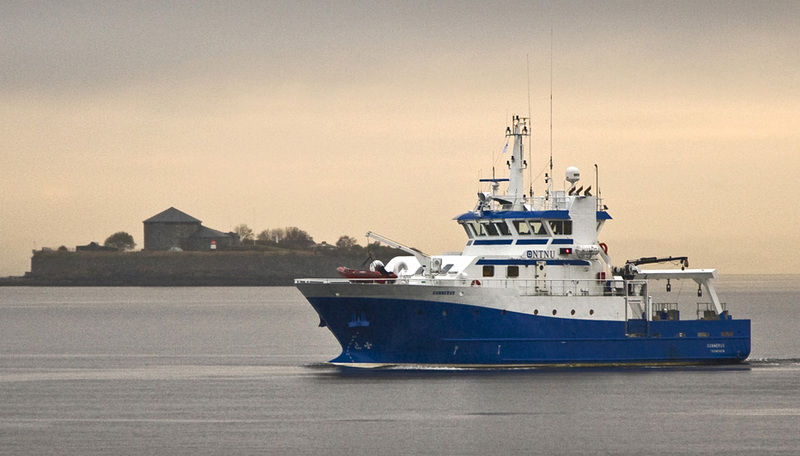 The Fjord Cruise will take the participants to biologically interesting sites and include sampling with a variety of gear available on the research vessel. The coral reef areas will not be accessible during the day cruise, but we aim to sample in mixed gravel and soft sediments. Marine biologist Torkild Bakken will be your guide, and lunch will be served on board. Departure from Trondheim in the morning of Friday June 21, return to the harbor in the evening. Oslo is the capital of Norway. It is a quite small town for European standards, situated between the Oslo Fjord to the south and green forested hills to the north. The town offers history, culture, art and nature experiences. A two-day program in Oslo (June 21 and 22) organized by the Natural History Museum, University of Oslo, involves trips to two museums displaying Norwegian cultural history (the Viking Ship Museum and the Norwegian Museum of Cultural History), a guided tour of the Vigeland Park (one of the largest sculpture parks in the world made by one single artist), a tour of the beautiful botanical garden at the Natural History Museum, and a botanical excursion to Hovedøya, a particularly rich and interesting island in the Oslo Fjord. To keep the price low we will use public transportation between the sights. Public transportation, entrance to museums and parks, and lunches are included in the price of NOK 1200. Travel to Oslo, accommodation and all meals except lunches must be organized on an individual basis. Minimum number of participants: 10. 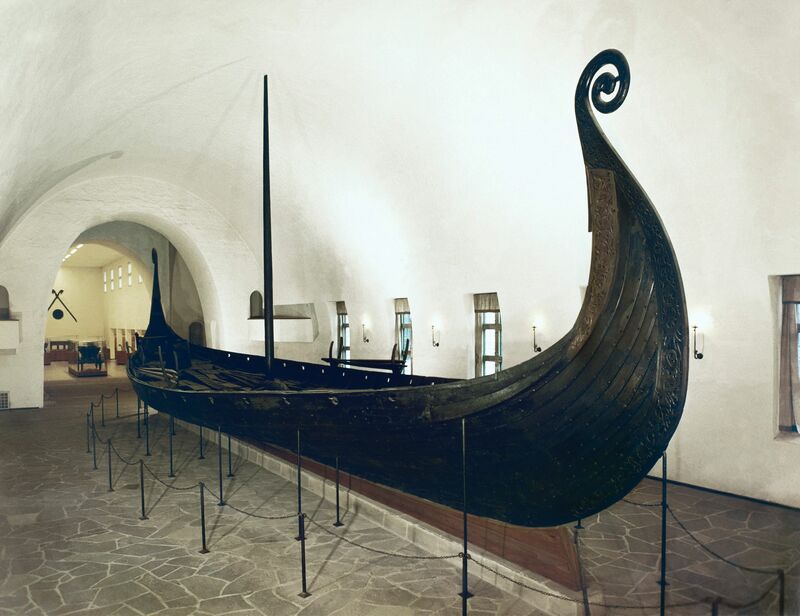 The Oseberg ship in the Viking Ship Museum. Photo: Kulturhistorisk museum, Universitetet i Oslo (c). Longyearbyen on Svalbard (78°North) is easily accessible by daily flights (passenger jets) from Tromsø and Oslo. There are numerous accommodation options and the town works well for day-trips in the area. Possible excursions while in Svalbard are glaciers, fjord tours, old mining towns, dinosaur fossils, arctic flora and fauna etc. There are several tour operators on Svalbard and some will be happy to arrange fully serviced packages from Trondheim. Such tours will likely cost around 15-20 000 NOK (all inclusive). Please let the Organizing Committee know if you are interested in a list of tour operators and current offers. Panorama of Longyearbyen in July. Photo Hylgeriak/Wikipedia CC BY-SA.